To Keith Idle, cheese is more than just food — it’s family. “Cheese are like my children,” Idle said. 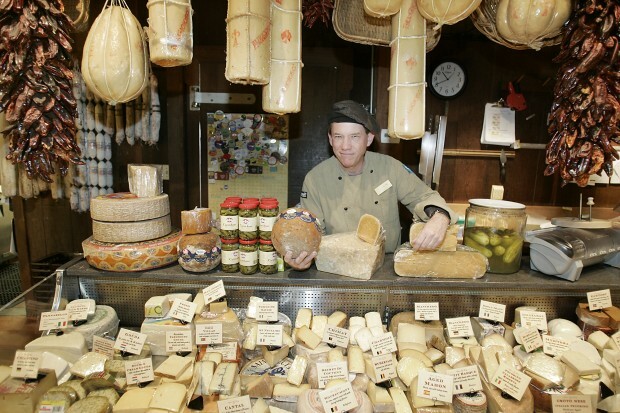 On most days, visitors at V. Sattui Winery will find Idle behind the extensive cheese counter at the winery’s popular deli, where he’s worked for 26 years. “I have 200 little children,” Idle said. “Some are a little bit harder to like than others but it’s just a matter of getting to know them,” he said. Do you have a favorite and least favorite cheese? I tend to go towards fuller flavors. I like hard cheeses (like) piave vecchio. I love camembert, blue cheeses and Roquefort’s. Least favorite? I don’t like smoked cheeses in general. It covers up the cheese flavors. I prefer straight-up cheese. What’s a common misconception people have about cheese? (That) cheese has to be refrigerated immediately. Cheese actually benefits from coming to room temperature. All it needs is coolness. Get over the fear of it spoiling immediately. Cheese is much more rugged than people think. What do you recommend for someone who may be hesitant to try a new cheese? A lot of people are afraid of cheese. Cheese can have a nose to it but you have to acquire the taste by moving them up slightly. Work your way into stronger flavors and get used to something different and you’ll like them. Which cheese has the worst reputation? Limburger is the most infamous cheese. Its bark is worse than its bite. It should be strong and aromatic but there is a difference between strong and spoiled. It’s a matter of getting it in the right condition. Blue cheese has the worst reputation. It’s a little more aggressive. But if you have a high quality blue, you get used to that flavor. The high-end blues are really great. Jack Nicklaus, Paul Simon and John Cleese. Overcoming the “fast food” mindset of customers. I can’t live without a sharp knife. Caped Crusader or bus driver. Rob Monaghan, tasting room/wine club manager, William Harrison Winery. Video game machine factory custodian. Create a music album of my own compositions. What’s one thing Napa could do to help local business? More visible business from Highway 29.